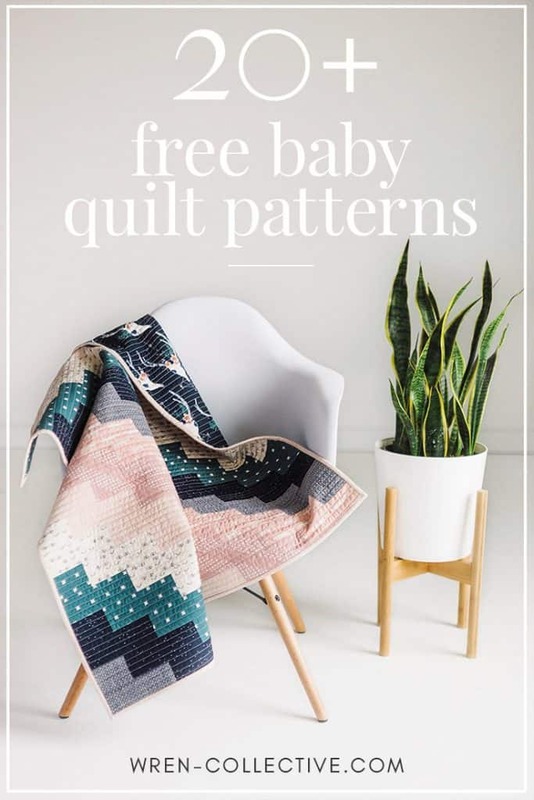 When I posted my free fat quarter baby quilt tutorial last week, I had no idea how much people love free baby quilt patterns! 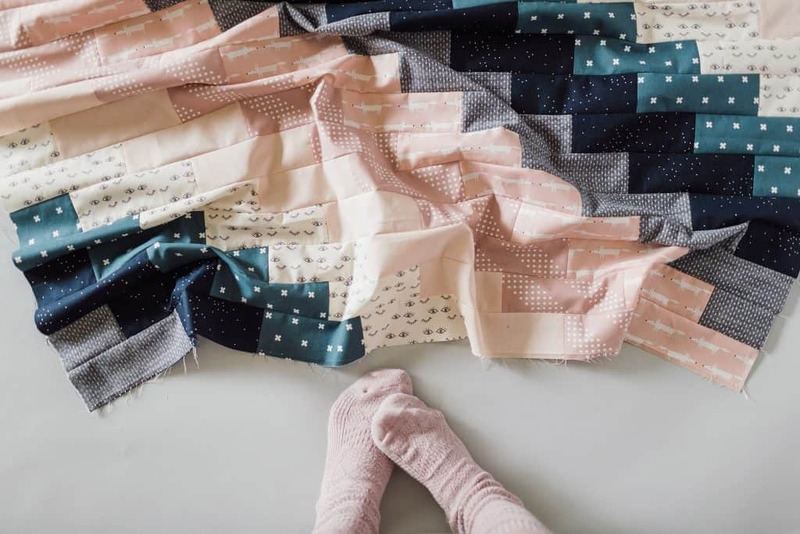 I did some looking around and realized just how many awesome free baby quilt patterns are swirling around the inter-webs–there are so many! I’ve collated several of my favorites here in this blog post for you; you’re sure to find one you love! I can’t wait to make several of these myself. Enjoy! This simple charm pack quilt is the perfect quilt to use up some pre-cuts you might have laying around. I love how it resembles the playground game Four Square. I will definitely be making this using some of my charm squares I have residing in my craft room! 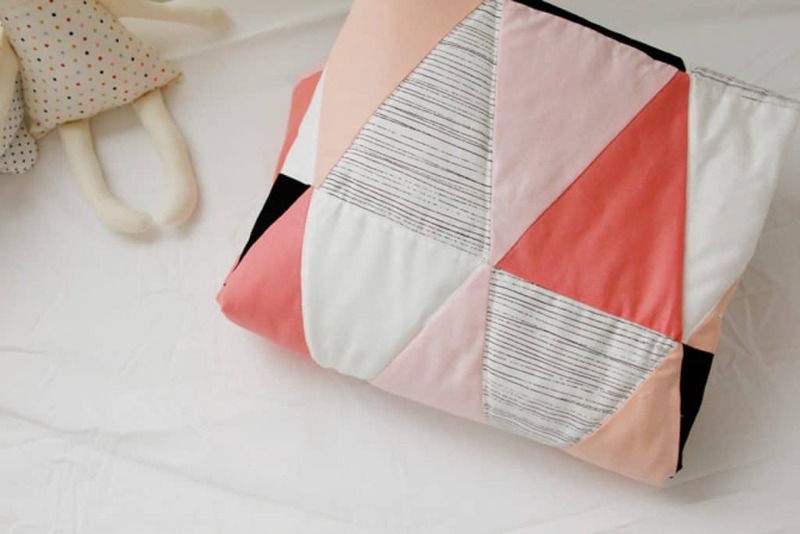 Four Square Baby Quilt from Coral + Co. 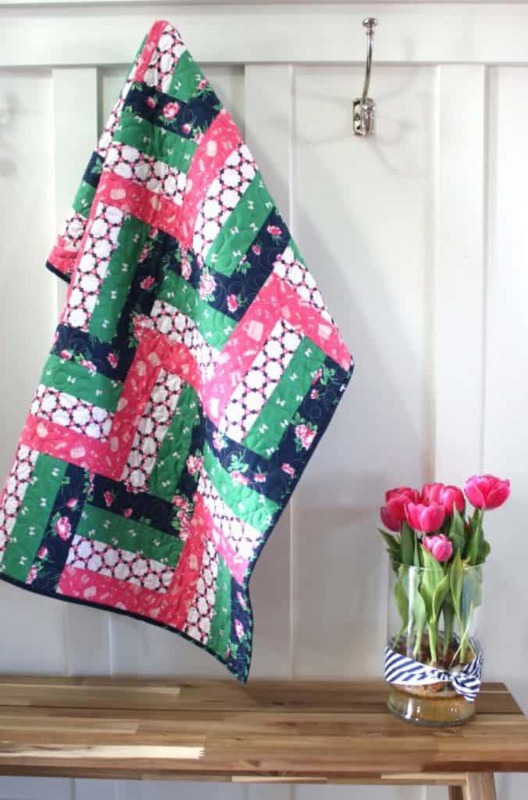 This sweet arrow baby quilt is super versatile and would be amazing in prints and solids both. It can also be easily sized up or down and is layer cake friendly! 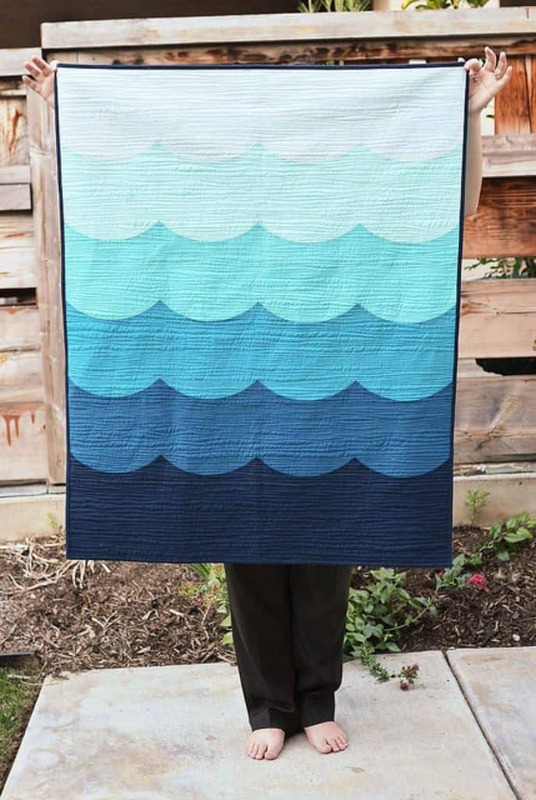 This is such a classic quilt! Three different square colors are arranged to mimic classic gingham–I’m in love! This would be amazing in different color ways as well. 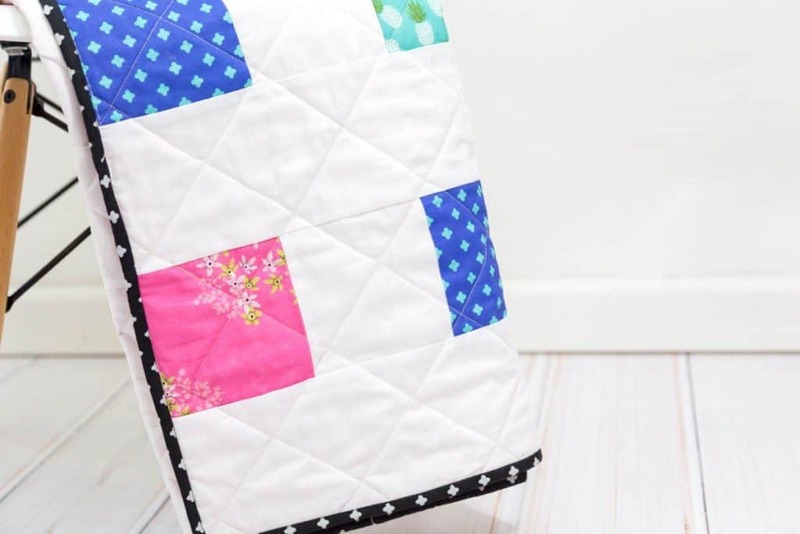 This baby quilt is a tutorial from yours truly; it is fat quarter friendly and is one of my favorite baby quilt patterns to sew together! 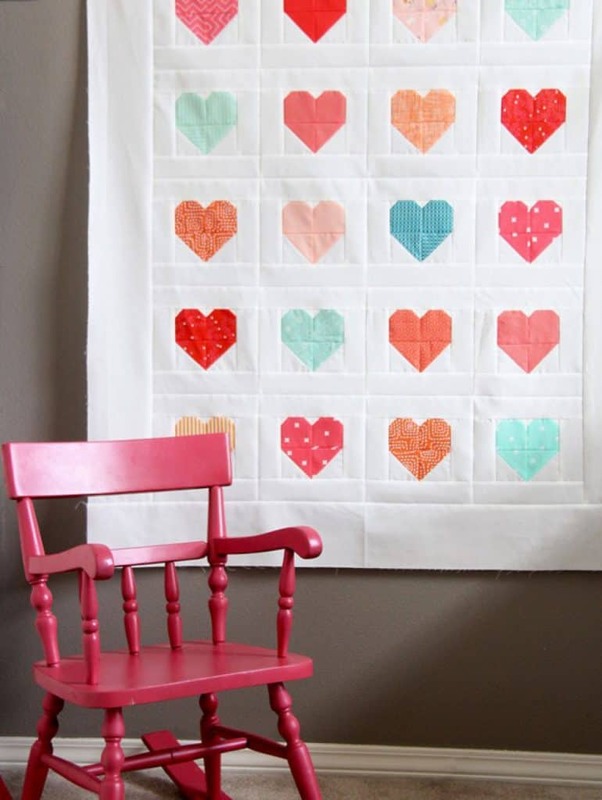 Allison from Cluck Cluck Sew always has the sweetest quilt patterns, and this heart baby quilt is no exception. I love the colors she chose for this version, too! This free tutorial is definitely on my “to make” list. 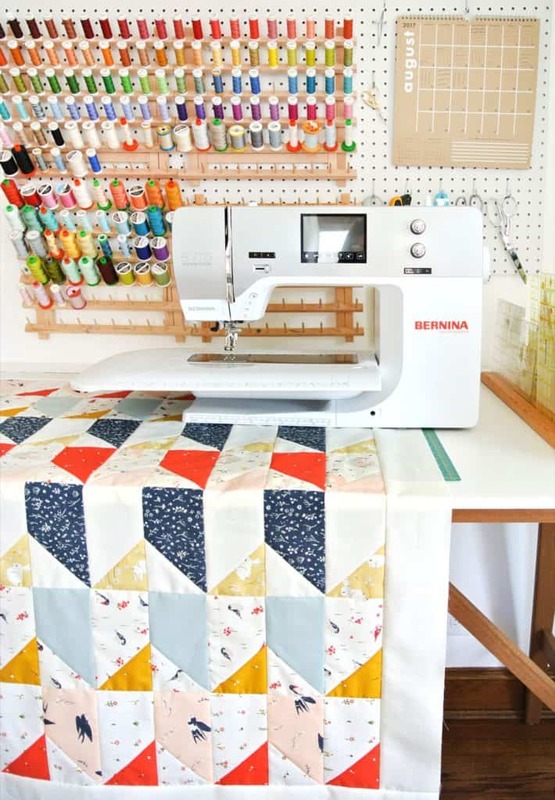 I’m sure all of you are no stranger to Suzy over at Suzy Quilts (if you haven’t heard of her…well what are you waiting for?! Go check her out! You won’t be disappointed.) 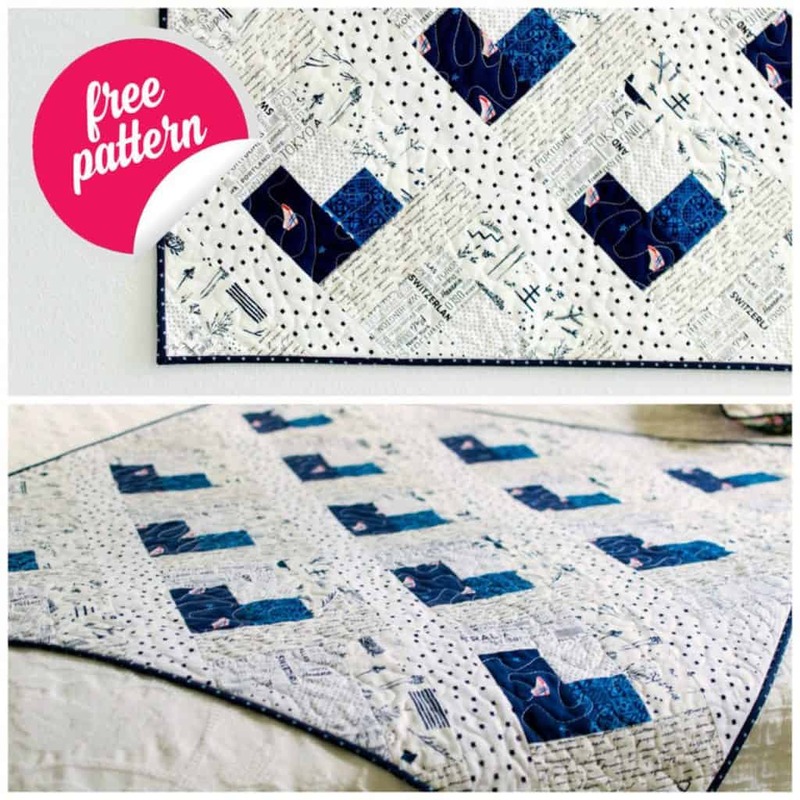 Anyway, this free baby quilt pattern from Suzy is one of my favorites to showcase larger scale prints or to do some fun fussy-cutting! 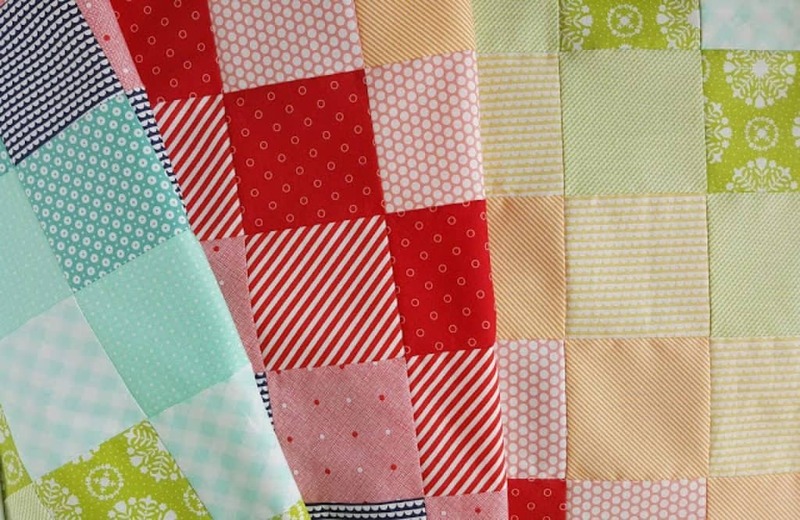 This sweet patchwork quilt is a larger crib size (50″x60″) so it is perfect for babies and toddlers alike! My four year old daughter’s crib quilt is still her favorite quilt, so we are still getting use out of ours! 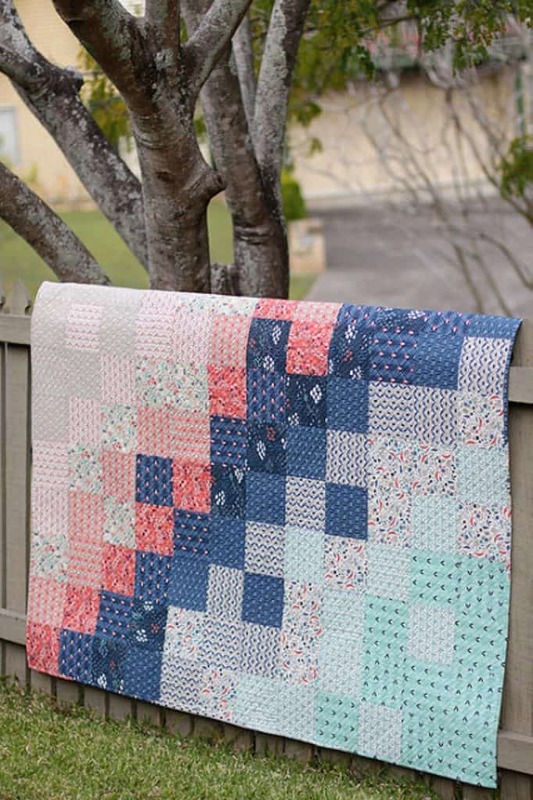 This quilt uses an ombre effect and curved piecing to really stand out; it caught my eye immediately when searching for free baby quilt patterns. I love it! 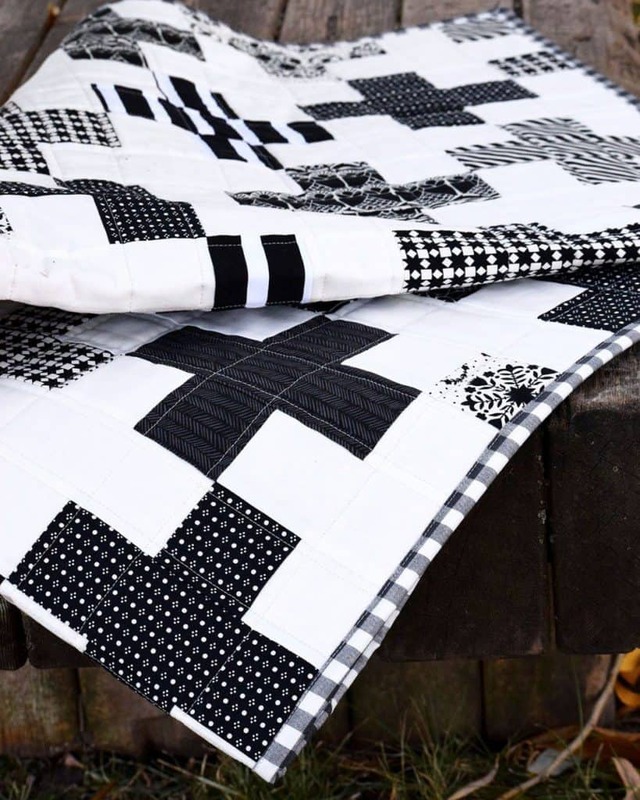 Triangle quilts are always among my favorites (see a triangle quilt I recently made here), and I really love this modern triangle quilt using ombre colors with pops of black and white. It would be the perfect accent quilt to any nursery! 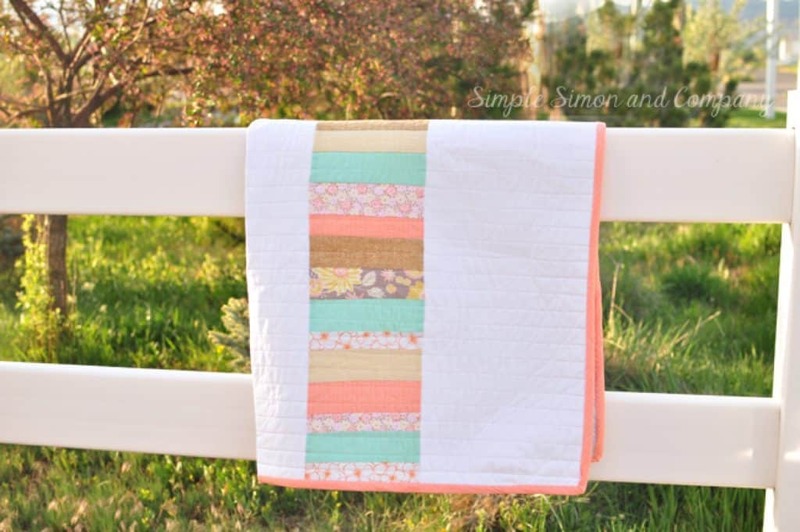 This quick and easy rail fence baby quilt is a great beginner friendly project! 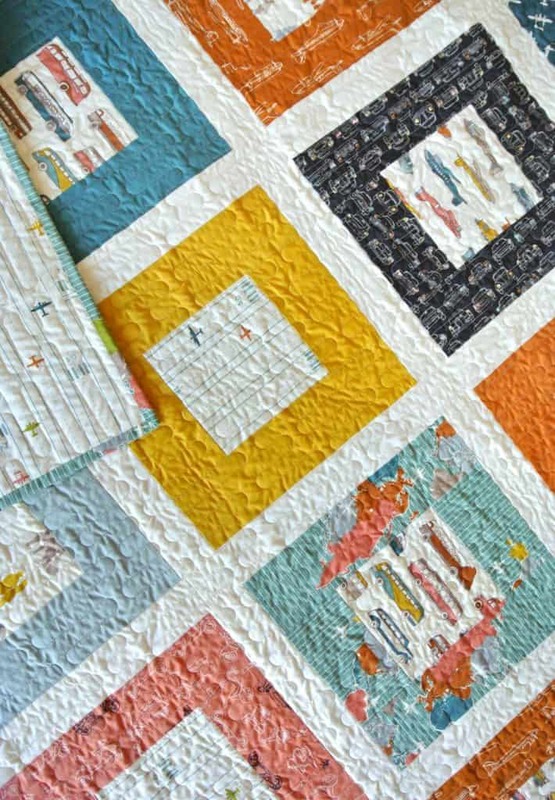 Amy’s website also has tons of tutorials and tips to assist any quilter. 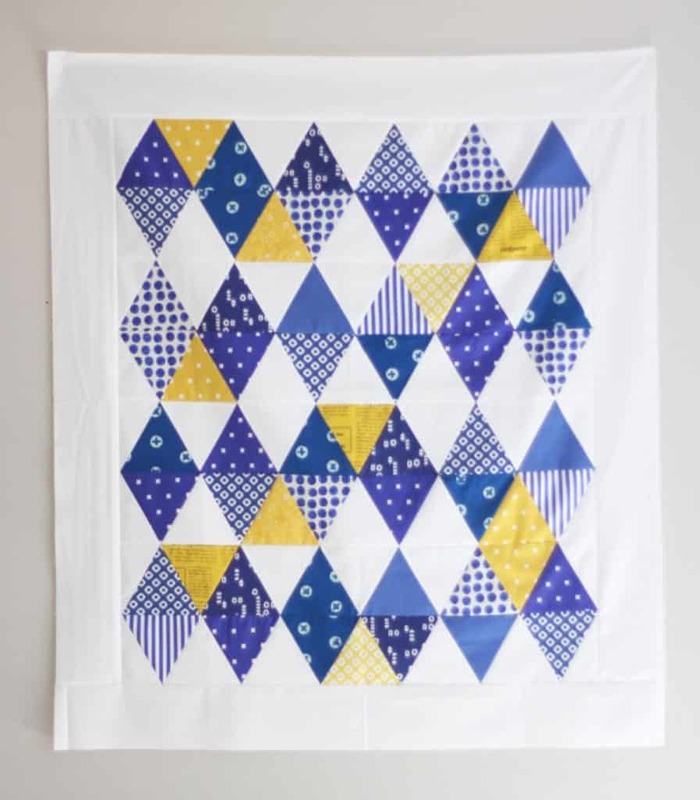 This sweet color blocked baby quilt utilizes pops of accent fabric squares against the the background. I can see this being awesome with so many variations–maybe even using Essex linen as the background! 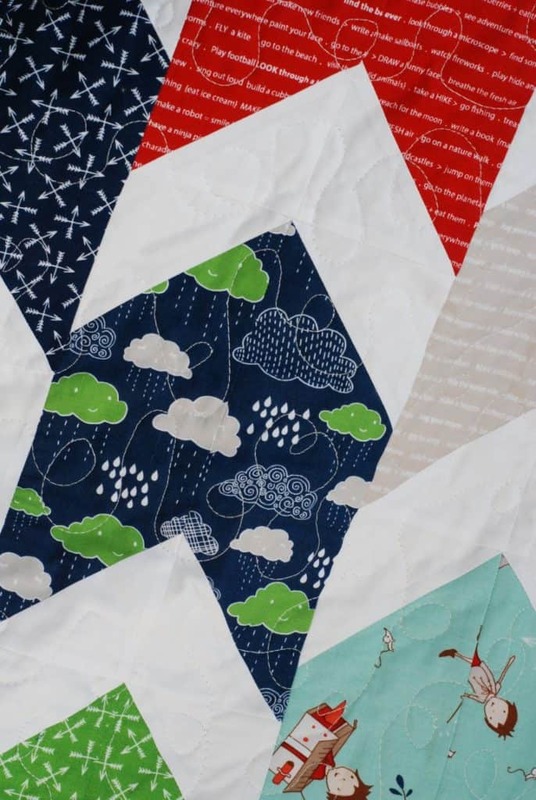 This quick baby quilt top comes together in around an hour using the clever “Scrappy Trip” method. Allison does a great job walking you through how to make this sweet patchwork top. 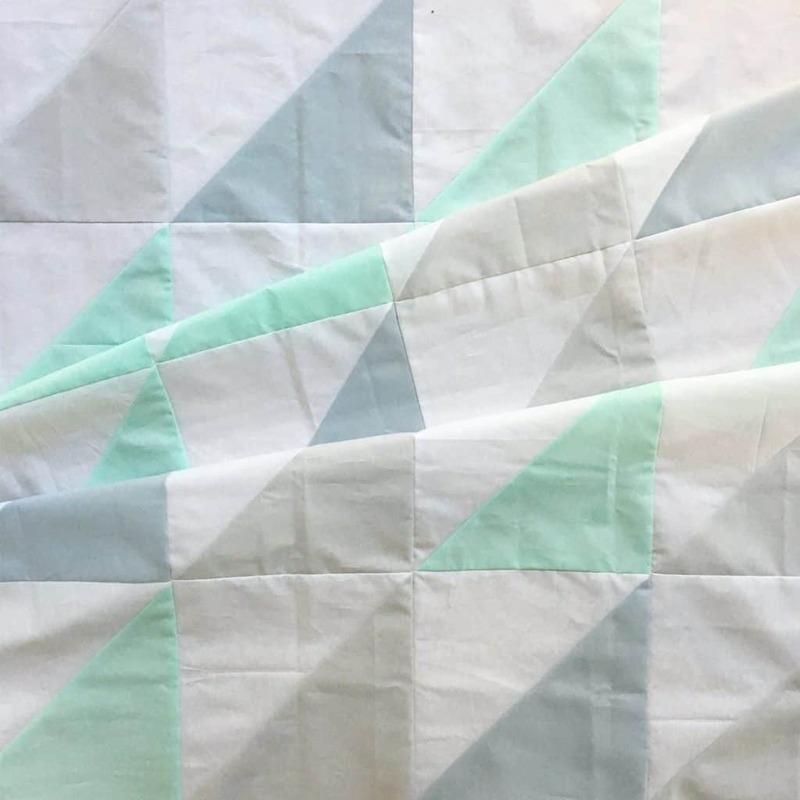 This classic half square triangle baby quilt pattern from my friend Tiffany is the perfect quilt to make for any new bundle of joy; I love the lower volume version she made! It is so understated and chic. I love low volume quilts so much! 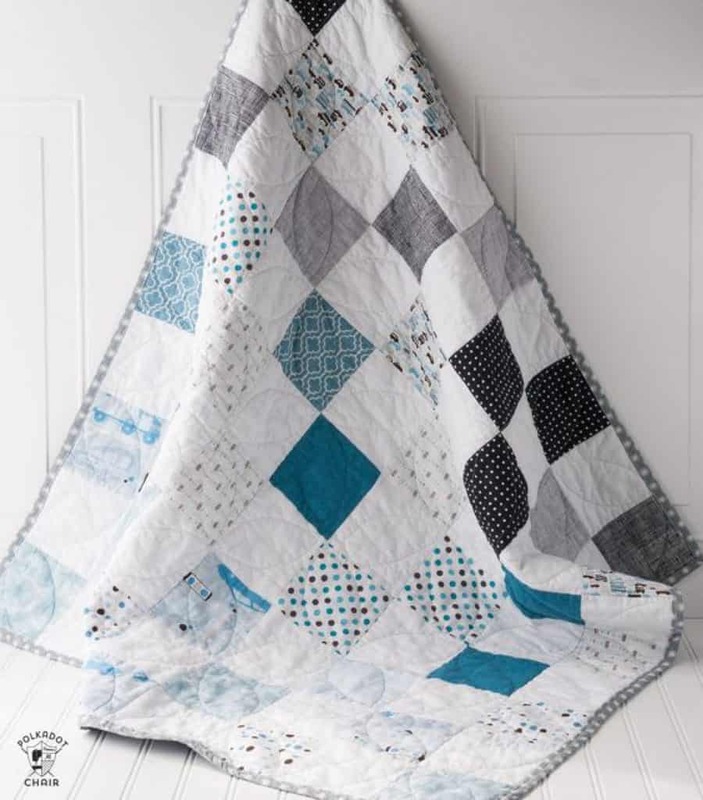 This low volume baby quilt is so great; it uses mostly low volume fabrics with a soft little pop of color here and there. I love the scrappy binding she used on her version, too! This is one of my very favorite baby quilt patterns! The use of low volume background and scrappy fabric heart shapes just makes me so happy. I can’t wait to make one of these someday! 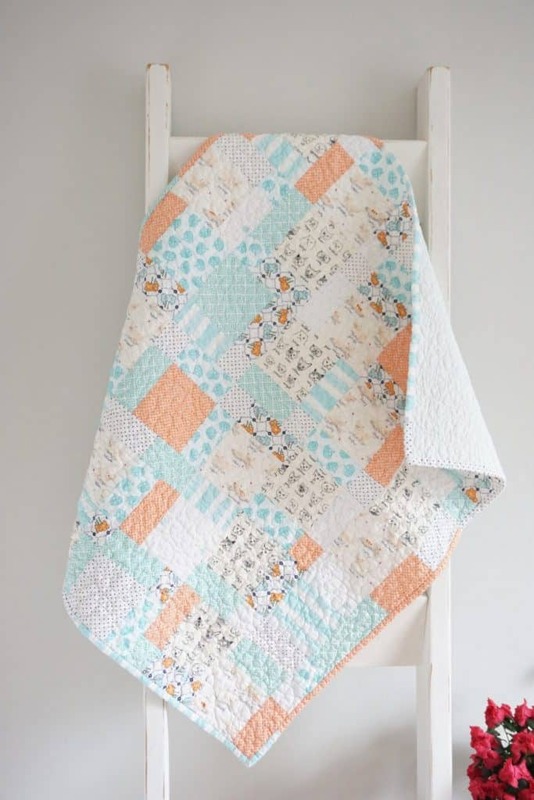 Here is another free baby quilt pattern from Suzy; it is a great one! 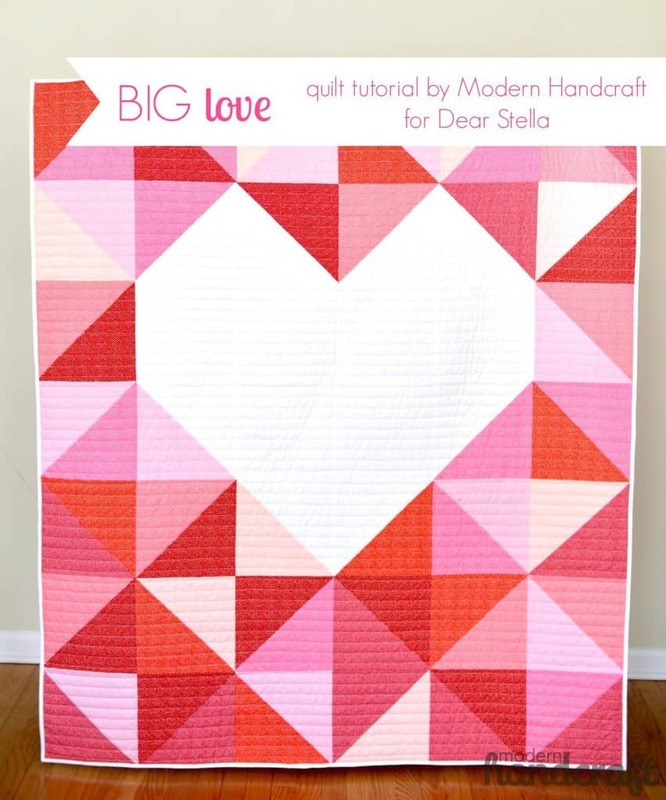 Nicole over at Modern Handcraft created this amazing heart baby quilt tutorial; it is seriously a stunner! I love how bold her designs are. Here is another awesome tutorial from Cluck Cluck Sew! I love the summery combination of blue and yellow she used. This vibrant baby quilt is perfect for all of the rainbow lovers out there! 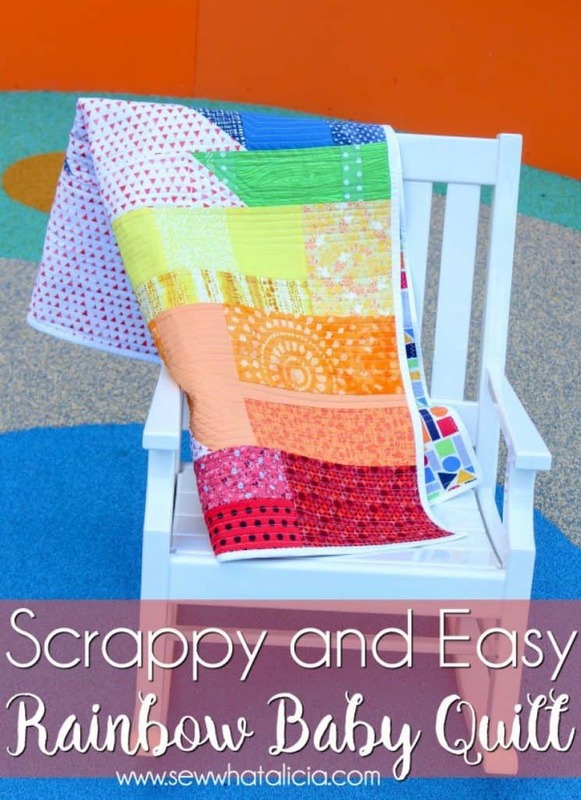 This baby quilt from Simple Simon & Company is the perfect scrap buster. I can’t be the only quilter around here with an overflowing scrap basket, can I?! I hope you’ve enjoyed this round up of several of my favorite free baby quilt patterns–happy quilting! Hey it was my pleasure. Yours is fantastic! 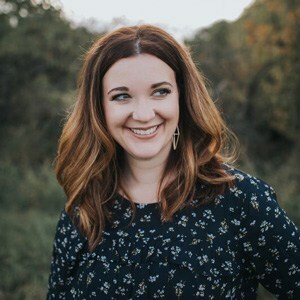 Welcome to Wren Collective. I’m so grateful and excited that you decided to stop by. I am a wife, mother, modern quilt maker, blogger, and retired professional photographer based in Omaha, Nebraska. Sign up to receive the latest news straight to your inbox!